For many wearers, the vibrancy and boldness of wax prints is an emblem of African creativity and culture. As an increasing number of designer brands, such as Burberry and Yves Saint Laurent, have explored using West African fabrics in their creations, the look is being passed on to high street fashion retailers. This increased interest is coupled with more innovative creations in African countries, where young entrepreneurs are extending the use of print fabrics from traditional clothing to shoes, jewellery, purses and even iPod covers. 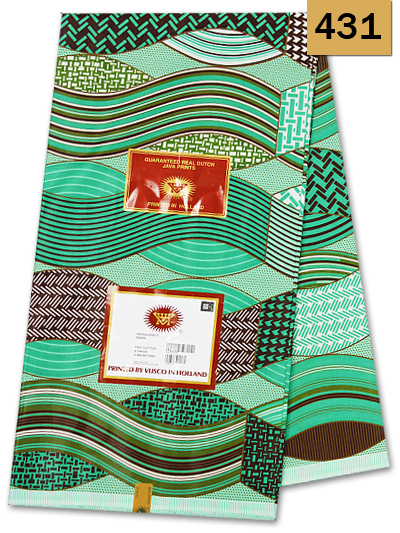 African wax print is a cotton-based textile dyed in bold colours, with geometric patterns, symbols or motifs. The fabric is manufactured by imprinting wax on to bleached cotton. Layers of dye are added, followed by the pattern-printing and finally crinkling the material to create a distinct effect when the wax is removed. The traditional prints have different names and patterns that each have their own meaning and informed wearers will be aware of this. In many instances, the wax prints are worn for specific functions, depending on their meaning. 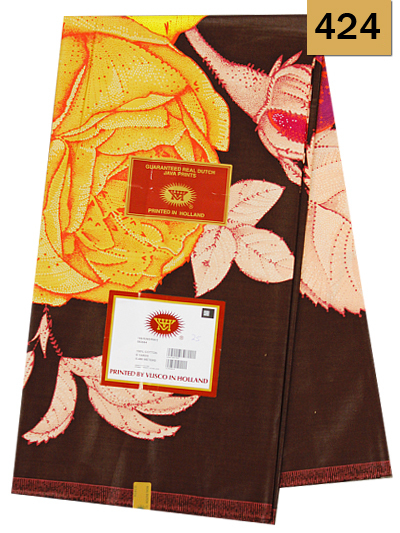 These are known as “classic” prints, with designs that have been in existence for generations. It’s important that the fabrics are matched to the function, as some of the prints recall proverbs, or suggest a particular occasion for the cloth. For example, wearing garments manufactured from wax prints where the meaning is “this is a happy time” would be totally inappropriate for a funeral. The wearer could cause offence by committing this error, even inadvertently. In Ghana, when a couple announces their engagement, it’s traditional for the man’s family to present his fiancée with six pieces of cloth and other gifts. These fabrics have been Dutch wax by tradition. The man’s ability to provide this dowry is viewed as an indication of his financial stability. Dutch wax is so valued that less well-off families have sometimes enrolled in credit schemes to acquire high-quality Vlisco prints for such life events. 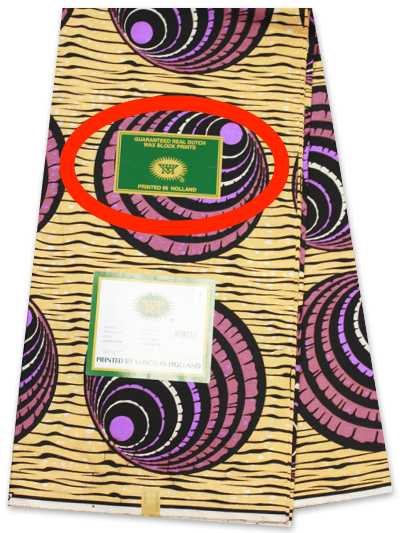 Vlisco, the leading wax-print brand manufactured in Holland, prints the message, “Guaranteed real Dutch wax”, with the company name and insignia, on the edge of every print, serving as a hallmark of quality and authenticity. 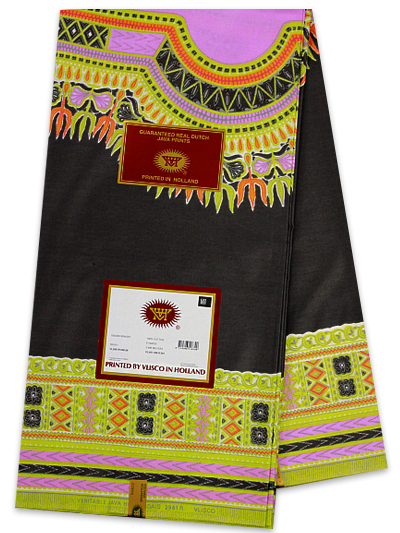 Here at Empire Textiles, we have a wide range of West African fabric, including wax prints and Vlisco, that can be shipped around the world, along with a selection of Italian designer shoes and bags to complement your selection.